GrantAdvisor is a safe way to anonymously give and receive feedback on grantmaking. Nowhere else can grantseekers find public advice from peers on what it really takes to secure grant funding or where foundations can get free, honest feedback. Three nonprofits came together to build and launch this review site because we believe that grantseekers and grantmakers need each other to succeed in our work. Transparency and trust-based philanthropy are foundational to lasting change and a more equitable future. Write a review to help your colleagues. Ask for reviews to learn what’s really going well or could be improved. Reach out to us with questions or ideas. 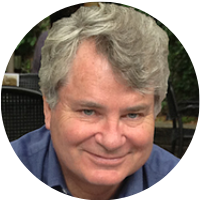 Jon Pratt serves as Co-Director and is a founding partner of GrantAdvisor. Jon is also the executive director of the Minnesota Council of Nonprofits (MCN). MCN is an association of 2,200 organizations that sponsors research, training, lobbying and negotiated discounts to strengthen Minnesota’s nonprofit sector. Jon has worked with MCN since 1987. He has also worked at Minnesota Public Interest Research Group as an attorney and lobbyist, as regional director at the Youth Project, and as director for the Philanthropy Project. Jon has consulted with nongovernmental organizations on the development of NGO associations and services in Canada, Costa Rica, Czech Republic, Hungary, Poland, Serbia and Turkey. Pratt has a law degree from Antioch School of Law, and a M.P.A. from Harvard University. 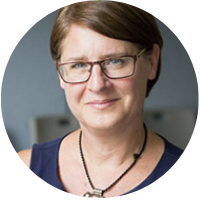 Kari Aanestad serves as Co-Director of GrantAdvisor and is the Director of Advancement at the Minnesota Council of Nonprofits. 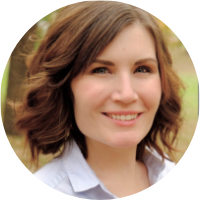 In this role, Kari advances the mission and work of MCN and Minnesota’s nonprofit sector through strategic visioning, fundraising, relationship development, sector research, and education. She is also the Vice President of the Minnesota-Northstar Chapter of the Grant Professionals of America. Contact Kari at kaanestad (at) grantadvisor (dot) org. 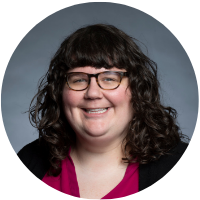 Andrea Sanow serves as the content coordinator for GrantAdvisor and is the development coordinator at the Minnesota Council of Nonprofits. If you’re interested in writing for the GrantAdvisor blog or have an item you’d like featured in the GrantAdvisor newsletter – contact Andrea here: asanow (at) grantadvisor (dot) org. 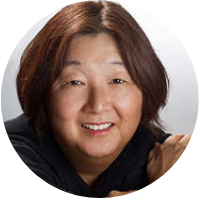 Jan Masaoka is a founding partner of GrantAdvisor and the Chief Executive Officer of the California Association of Nonprofits. Jan is a leading writer and thought leader on nonprofit organizations with particular emphasis on boards of directors, business planning, and the role of nonprofits in society. Jan also founded and managed Blue Avocado magazine, to which 63,000 people have subscribed online, and which has been described as the second-best read publication in the nonprofit sector. Jan has been named eight times as one of the “Fifty Most Influential People” in the nonprofit sector nationwide. 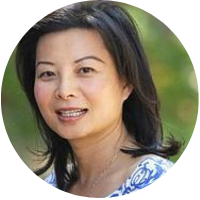 Perla Ni is a founding partner of GrantAdvisor and the CEO of GreatNonprofits. 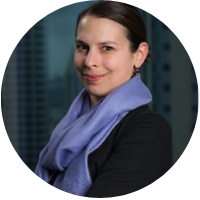 Perla brings executive experience in corporate, academic, and nonprofit sectors. She was the founder and former publisher of the Stanford Social Innovation Review, the leading journal on nonprofit management and philanthropy. Prior to her work at SSIR, Ni co-founded Grassroots Enterprise, later acquired by global public relations firm Edelman. GrantAdvisor is an initiative of the Minnesota Council of Nonprofits, California Association of Nonprofits, and GreatNonprofits. The project is in partnership with the Association of Fundraising Professionals and Social Media for Nonprofits. Advising Foundations include the Peery Foundation, GreenLight Fund Bay Area, Open Road Alliance, and Thomson Family Foundation. Janet Camarena serves as the Director of Transparency Initiatives for Foundation Center, working to champion greater foundation transparency. A key part of her responsibilities include providing leadership to Glasspockets.org, which she helped to create and found inside Foundation Center in 2010, and which provides foundations with a variety of tools and features designed to encourage greater philanthropic openness. Prior to taking on this role, Janet served as Director of Foundation Center’s regional office in San Francisco for 15 years. She was among 48 nonprofit leaders selected for the American Express Nonprofit Leadership Academy. She completed her undergraduate work at Mills College and received a Master’s degree in Library and Information Science from San Jose State University. She serves on the boards of the Alameda County Library Foundation and Community Initiatives, a fiscal sponsorship provider and volunteers teaching art and art history at her son’s elementary school. 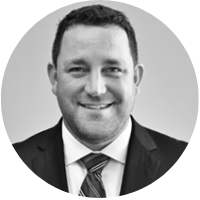 Aaron Dorfman is president and CEO of the National Committee for Responsive Philanthropy (NCRP), a research and advocacy organization that works to ensure America’s grantmakers and wealthy donors are responsive to the needs of those with the least wealth, opportunity and power. Dorfman, a thoughtful critic, frequently speaks and writes about the importance of diversity, equity and inclusion in philanthropy, the benefits of funding advocacy and community organizing, and the need for greater accountability and transparency in the philanthropic sector. Before joining NCRP in 2007, Dorfman served for 15 years as a community organizer with two national organizing networks, spearheading grassroots campaigns on a variety of issues. Carolyn Egeberg serves as the Vice President of Advancement for The Minnesota Orchestra. Previous to this role, she was the vice president of Strategy and Communications for Minnesota Philanthropy Partners. In her role, she collaborated with the board, executive leadership team and staff members to tightly align the Foundations’ core values, goals and strategies in fulfilling the missions of the Foundations. She also oversaw MN Partners’ Marketing and Communications, Human Resources and Information Technology departments. A long-time resident of both Minnesota and Wisconsin, Carolyn brings an expertise in strategy and leadership from her previous roles at 3M, CaringBridge and the Science Museum of Minnesota. Robert was the President of the DC Central Kitchen, the country’s first “community kitchen”, where donated food is used to fuel a nationally recognized culinary arts job training program for 24 years. Since opening in 1989, the Kitchen (which is a $11 million a year, self-sustaining, social enterprise) has produced over 30 million meals and helped 1,500 men and women gain full time employment. Kathleen P. Enright is the President & CEO of the Council on Foundations. Prior to her role, she was the founding president and CEO of Grantmakers for Effective Organizations. GEO is a diverse community of more than 500 grantmakers working to reshape the way philanthropy operates. Kathleen speaks and writes regularly on issues of nonprofit and grantmaker effectiveness at national and regional gatherings of executives and trustees. Publications include Investing in Leadership: Inspiration and Ideas from Philanthropy’s Latest Frontier and Funding Effectiveness: Lessons in Building Nonprofit Capacity. She is also a contributing blogger for The Huffington Post. 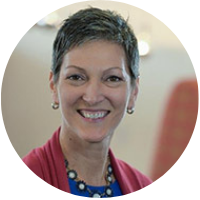 Michelle Greanias, Executive Director of PEAK Grantmaking, is a passionate advocate for efficient and effective grantmaking and is deeply committed to elevating the value of grantmaking practices in philanthropy. 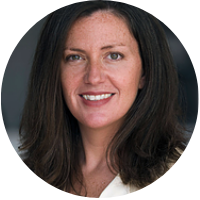 Hired in 2008 as the organization’s first employee, Michelle has led the explosive growth of PEAK Grantmaking, making it one of the largest networks in the field. 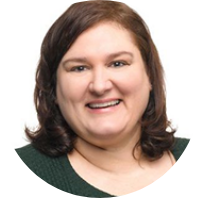 Michelle has spent most of her career in corporate philanthropy, leading grants management teams to implement efficient, effective grantmaking practices. She has also overseen program-related investments; engaged in projects to facilitate socially responsible investments in housing and community development, increasing capital available to nonprofits; and managed employee giving programs. Casey is the founding executive director of GreenLight Bay Area. Prior to GreenLight, Casey completed a fellowship at Room to Read, an international NGO focused on literacy and girls education in developing countries. Casey’s background has been working with literacy and education-focused nonprofit organizations in California, Massachusetts and Washington, DC, including Raising A Reader, a GreenLight Fund portfolio organization in Boston. Casey earned master’s degrees in education from the University of San Francisco and in English from Brooklyn College. Vu Le is the Executive Director of the Rainier Valley Corps, an organization focused on communities of color in Seattle’s Rainier Valley. Vu’s passion to make the world better, combined with a low score on the Law School Admission Test, drove him into the field of nonprofit work. 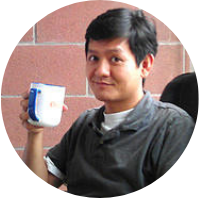 Known for his no-BS approach and irreverent sense of humor, Vu has been featured in dozens, if not hundreds, of his own blog posts, which you can read at nonprofitwithballs.com. Megan McTiernan has spent over 15 years working in organizations focused on youth and the working poor. She is the Senior Vice President of EARN and previously served as the Executive Director of the Thomson Family Foundation, establishing the Foundation and identifying workforce development and asset-building projects in the San Francisco and Dallas areas. McTiernan serves on the steering committees of the Bay Area Asset Funders Network, the North Texas Asset Funders Network and the Bay Area Workforce Funders Collaborative. She was a 2009 KIVA Fellow in Mexico, analyzing the impact of microfinance. She is a volunteer with the local CASA program serving youth in foster care and also serves on the California Council for IGNITE, bringing political and civic programs to young women. Megan holds a BA in Spanish and Latin American Studies from Tulane University and an EdM from Harvard University. Yusef Mgeni is retired but very active in civic engagement. 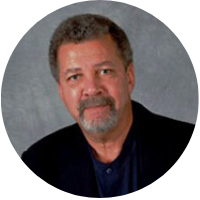 His background includes stints as an award-winning journalist/producer; Board member and Senior Program Officer in philanthropy; faculty member at a number of institutions of higher learning in Minnesota, including teaching and volunteering at MN Correctional facilities for men and women; work with dozens of constituency-governed, community-based human service, civil rights and social change organizations; service on more than 100 local, regional and national nonprofit boards; President of the Urban Coalition–a research-based, public policy and advocacy organization in the Twin Cities and his current service as a Vice President of the MN/Dakotas Area Conference of the NAACP. Jessamyn Shams-Lau joined the Peery Foundation as its first staff member in 2009, helping to shape the foundation’s initial strategy and portfolios. 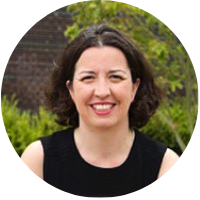 Currently, as Executive Director, Jessamyn is responsible for supporting the Peery Foundation team, guiding overall strategy, and developing a grantee-centric approach across the foundation’s portfolios. 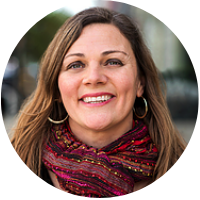 Jessamyn utilizes her experience as part of the founding Ashoka U team in her hands-on role as a Board Member of BYU’s Ballard Center, where she has created curriculum now taught at both the undergraduate and graduate levels. 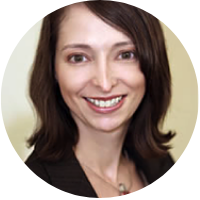 Jessamyn has a BA in Fine Arts from the University of the Arts London and an MBA from Brigham Young University. 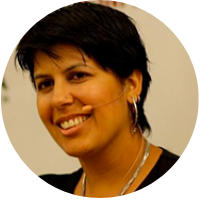 Ritu is the CEO and Co-Founder of Social Media for Nonprofits, an organization committed to bringing social media education to nonprofits worldwide. She convenes thought-leaders and leading practitioners in the social media space in the unique TED-meets-Twitter style conferences in 14 cities in three countries. She writes a blog at the Huffington Post on the intersection of social media, social change and leadership. She has received several accolades for her work including the Social Innovation Award from the World CSR Congress. Bruce R. Sievers is a visiting scholar and lecturer at the Haas Center for Public Service and the Center on Philanthropy and Civil Society, which he helped found in 2006, at Stanford University. Previously, he served as the Executive Director of the Walter and Elise Haas Fund from 1983 to 2002 and as the founding CEO of both California Council for the Humanities from 1974 to 1983, and Montana Committee for the Humanities from 1972 to 1974. 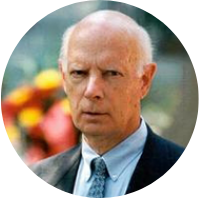 In addition, Mr. Sievers is a Consulting Director of the Skirball Foundation and a Senior Fellow Emeritus with Rockefeller Philanthropy Advisors. Mr. Sievers was a Fulbright Scholar and received a B.A. in International Relations, and an M.A. and Ph.D. in Political Science from Stanford University. Sharon Stapel is the President and Executive Director of the Nonprofit Coordinating Committee of New York (NYCC). She comes to NPCC from the New York City Gay and Lesbian Anti-Violence Project (AVP), where she was the Executive Director of the nation’s largest LGBTQ and HIV-affected anti-violence program. She was named a White House Champion of Change and recognized by President Obama for her advocacy work. Stapel directed units at South Brooklyn Legal Services and the Legal Aid Society and coordinated the Street Law Project of the National Lawyers Guild. 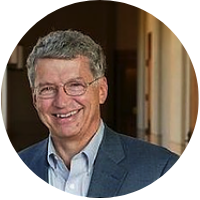 Colburn “Cole” Wilbur is Trustee Emeritus and former President and CEO of The David and Lucile Packard Foundation. He was also interim President and CEO of The California Wellness Foundation, helping the foundation through a difficult time. Cole was a Senior Fellow at the Council on Foundations and in 1999 received the Distinguished Grantmaker Award. In 2005 Cole served as interim President and CEO of the Council on Foundations. He also served as Executive Director and CEO of the Sierra Club Foundation, ran a computer center, and was in banking. 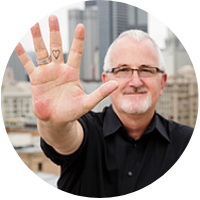 He has provided advice to foundations around the U.S. and internationally. These include the California Community Foundation, the Gordon and Betty Moore Foundation, Philanthropic Ventures Foundation, Heising-Simons Foundation, Playa Foundation, Craig Neilsen Foundation, Global Fund for Women, Baker Foundation, and many others. 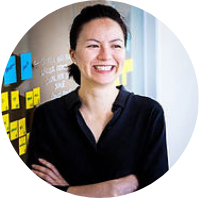 Maya Winkelstein is Executive Director of Open Road Alliance where she is responsible for the organization’s overall investment strategy including finding new ways to deploy capital to achieve maximum social returns. Winkelstein has worked with Open Road since the organization’s inception in 2012. Prior to her role as Executive Director, she worked with Open Road as an Associate Director with the consulting firm, williamsworks. Former affiliations also include The Corporate Council on Africa, International Institute for Strategic Studies (IISS), the Institute of National Strategic Studies (INSS) at National Defense University (NDU), and Exclusive Analysis Ltd.
Winkelstein holds a B.A. in Political Science from the University of Michigan; MSc in International Relations from the London School of Economics; and a Diplôme Internationale from Sciences-Po in Paris, France. The Founding Minnesota Advisory Panel informed the site’s development and launch, and members continue to serve as ambassadors of the GrantAdvisor project in the State of Minnesota. If you are interested in being an ambassador in your state, contact us at team (at) grantadvisor (dot) org. Peg Flanagan, President, M.C. Flanagan, Inc.